Quelah Condo #6 guests have access to the condo hot tub year-round, and a pool and tennis court during the warmer months. 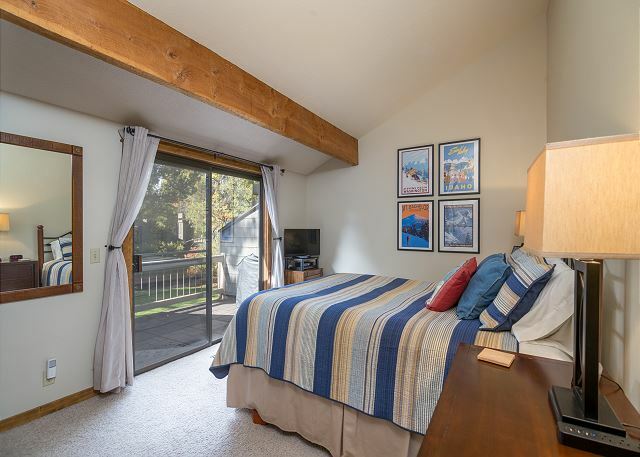 Up to six travelers can sleep comfortably in this newly remodeled condo. 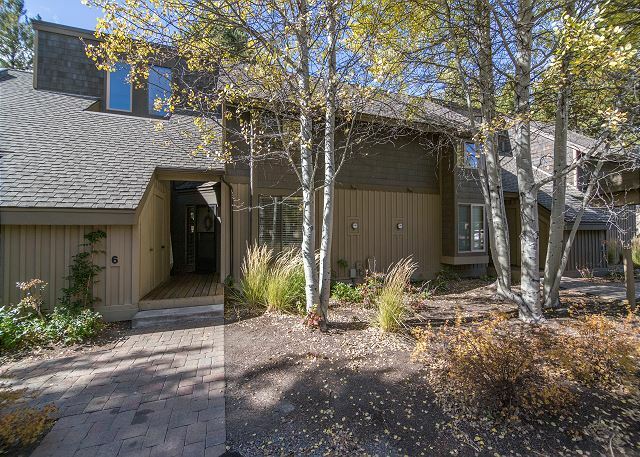 Within walking distance to The Village Mall, SHARC, Sunriver Nature Center and Observatory. 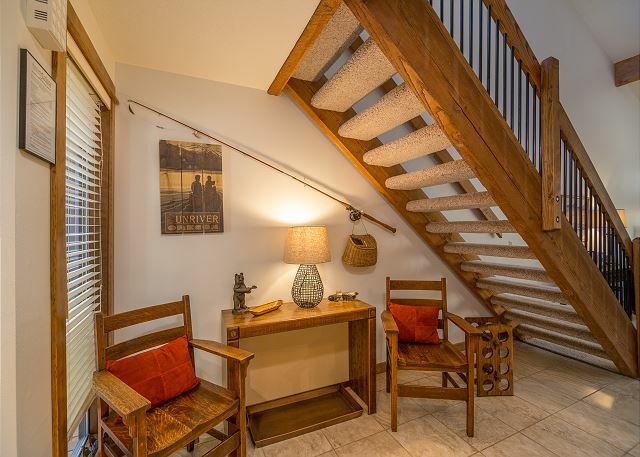 You will have everything you need when staying in this condo, relax with a good book curled up next to the fireplace or enjoy the football game on the flat screen TV! 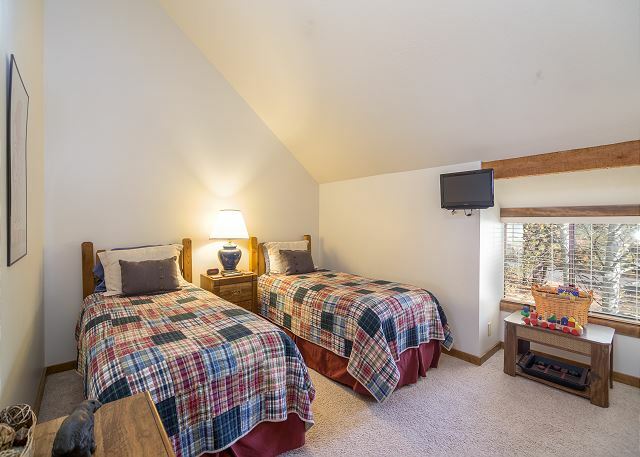 You will find one bedroom with a Queen bed downstairs and two bedrooms upstairs, one with a Queen bed and the other with two twin beds. 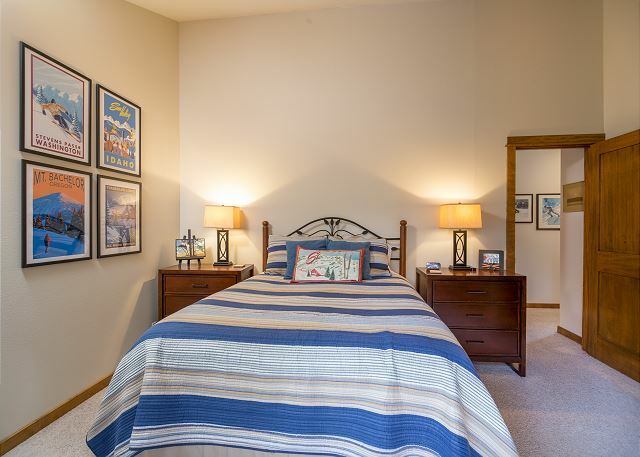 The upstairs bedroom with a Queen bed and the downstairs bedroom both have “Smart” TV’s so you can connect to your Netflix account and enjoy a movie while relaxing in bed. All the bedrooms and the living room have DVD players. 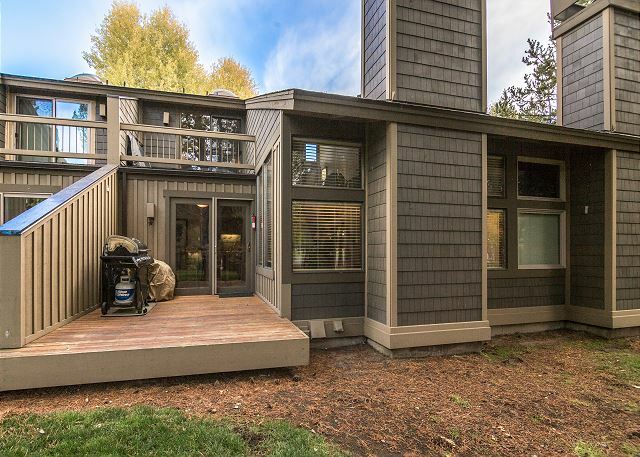 Included when renting this home you will get 8 Unlimited access passes to SHARC, free tennis, and free access to the boat launch at the marina! 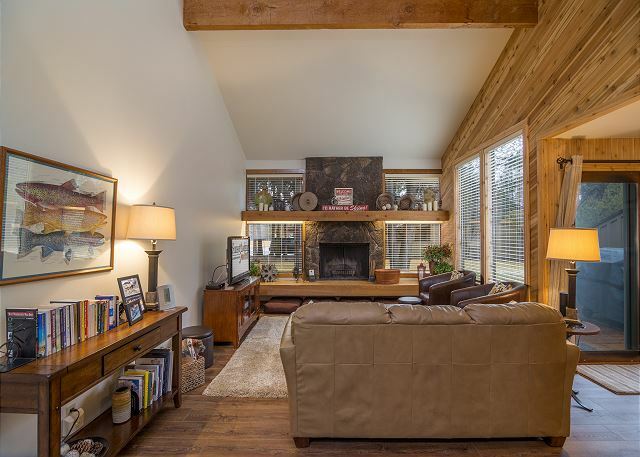 This 1,450-square-foot condo offers a wealth of amenities, including a fireplace, gas barbecue & vaulted ceilings. 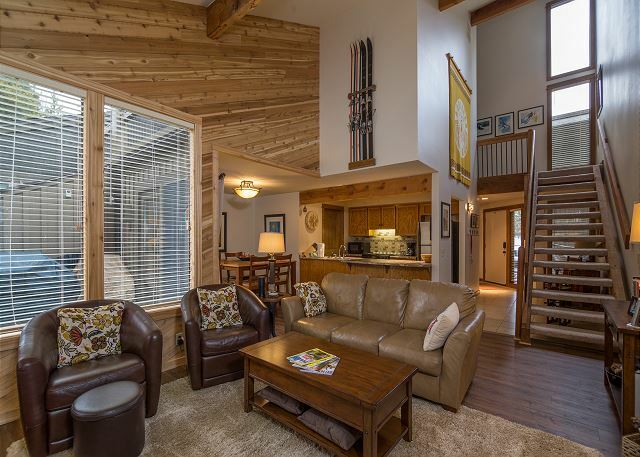 Add to your vacation enjoyment by going snowshoeing, playing some golf, renting kayaks, hiking at Benham Falls or trying out horseback riding. 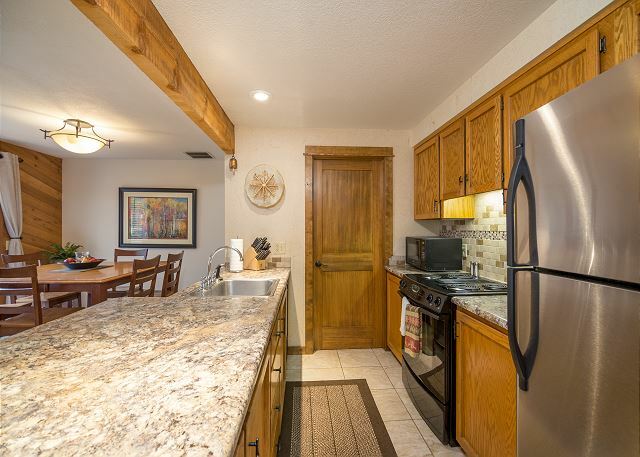 This condo will be a delight now matter if you are coming for a family getaway, girls weekend or a golfer's retreat, you are sure to be delighted with this unit! 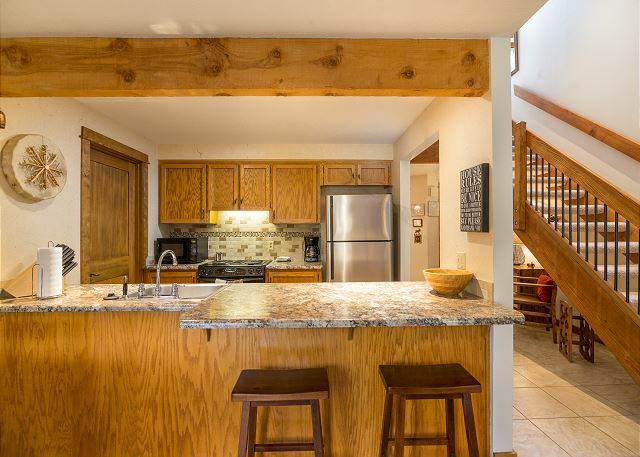 2 Queens, 2 Twins, D/W, W/D, microwave, 4 TVs/3 DVD players, 2 levels, fireplace, gas BBQ, 8 Unlimited SHARC passes, carport, access to condo HOT TUB year-round, pool & tennis in season, 1450 sq ft, 4 star. 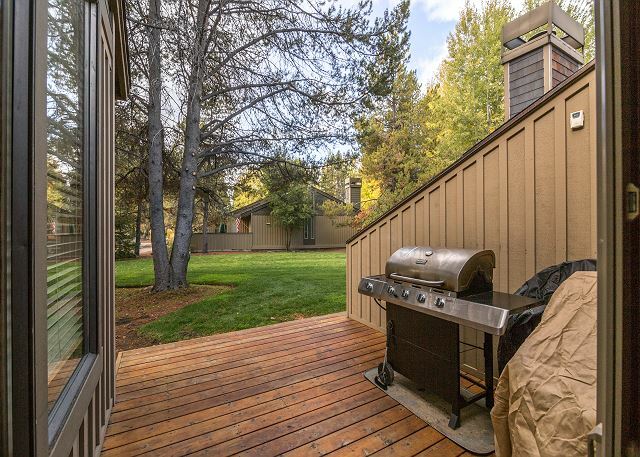 We have a long history of spending a week each year in Sunriver. This recent week is 38 or 39. 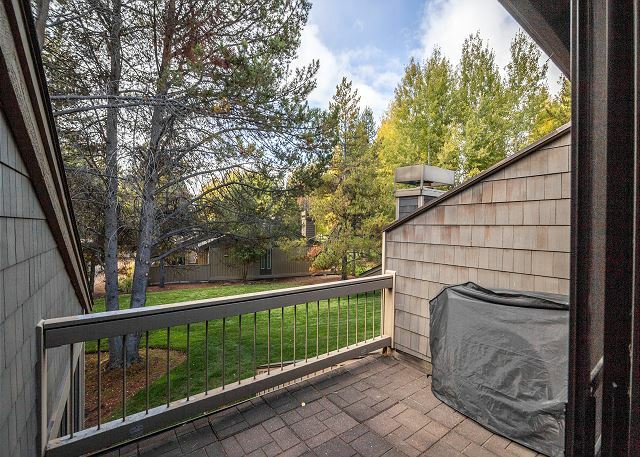 We have rented houses in nearly every location in Sunriver but none have been as enjoyable as our week in Quelah Condo 6. The location is superb and the unit was perfect in every way. We look forward to our next stay. Thank You for the 5 star review, Richard! We are so glad that you found the condo to be superb among others! Come back soon! We have stayed in many of the units at Quelah over the years. Number 6 was great! Couldn't fault a thing! Only thing that would have given it the number one spot on my list would have been air conditioning! Thank You for your 5 star Review, Cheryl! So glad that this home met your needs and that you thought it was great! Come back soon! Thank You for the 5 star Review, John! We love hosting you every year and are glad to hear that you enjoyed Quelah 6 most recently- see you again next year! The condo had everything we needed for a nice stay at Sunriver. It was comfortable. The kitchen was well stocked. It’s in a good location. Our only complaint is that the tennis courts need some repairs. Thank You for the 5 star review, Carolyn! Happy to hear that your stay was enjoyable and comfortable! Come back soon! Great place! We loved it. We had a fantastic stay! We brought our 2 young children. The condo has an awesome “backyard” area with grass for playing. The pool is right across the street. Walking distance to the Village and Lodge. Very clean condo. The only 2 things I would suggest is getting a cover for the patio set as most neighbors do. As there is no cover I had to clean the table and chairs before using. 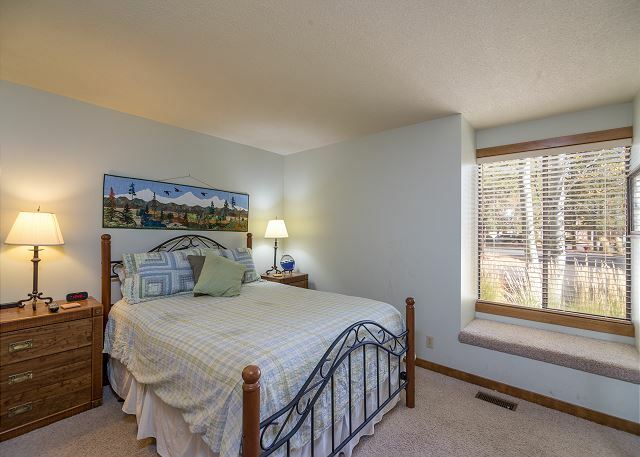 Also, the adult master bedroom upstairs need a new bed mattress. Extremely squishy, uneven, used. We ended up switching to the bedroom downstairs, very comfortable. Overal, we loved the condo!! We will absolutely be back!! And recommend family to stay during the summer on there trips. Thank You for your review, Kristin! We are so glad that you were able to enjoy the condo and it's wonderful location. I am having the upstairs bed checked, thank you for letting us know. We hope you will be back, we would love to host you again! 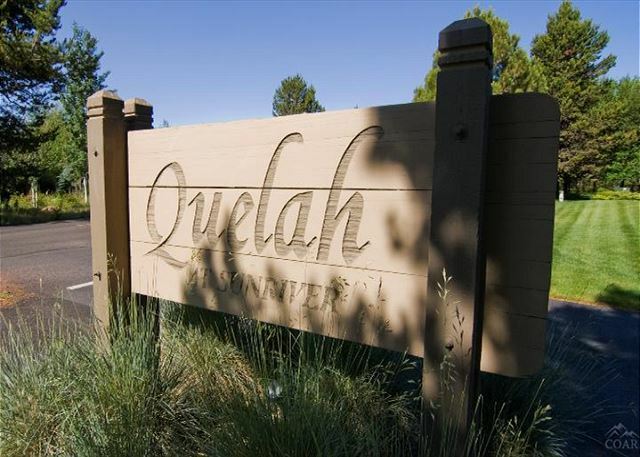 Quelah is are "go to" for our Sunriver getaways. 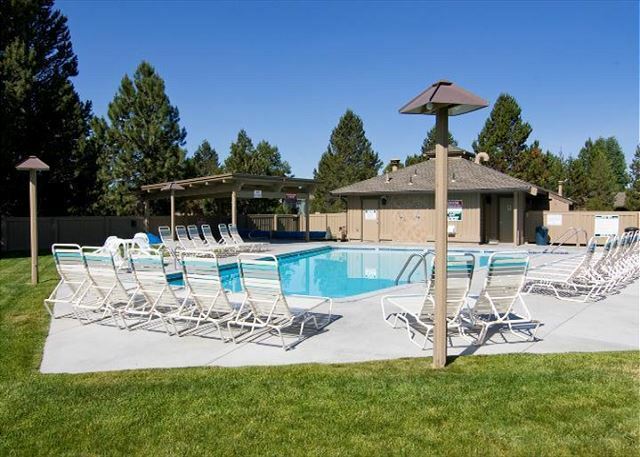 Love having the tennis courts, pool and hot tub in the complex. Everything we needed was provided from kitchen supplies to hair dryer. Location is ideal to SHARC and Village. Thank You for your review! We are glad to hear another great vacation is on the books at Quelah #6! 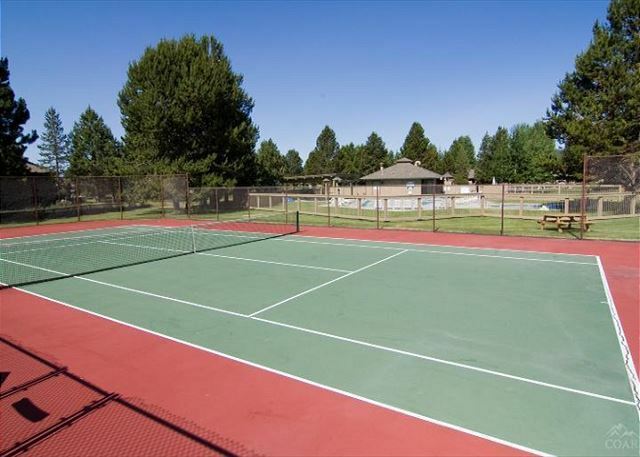 We hope that we will see you again to enjoy all of the wonderful amenities that Quelah #6 and Sunriver provides! 2nd time renting this unit. Thank you for your review! We are glad to hear that another great vacation is on the books for Quelah #6! A Fan Favorite! This condo definitely has a following and we hope to see you again for a 3rd time! This condo was very comfortable. Everything we needed was there. The location is fantastic. Having a community pool steps away was awesome for the kids! The Marina is walking distance as well. I would definitely book this place again. Andrea, thank you for your review! We're glad you enjoyed your stay at Quelah Condo #6. We hope to see you again soon! 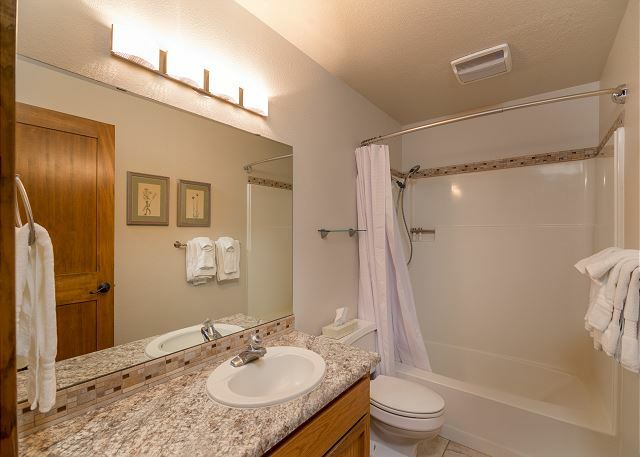 We love the location of Quelah condos including their pool and tennis courts as well as the easy access to the trails which you can bike and which lead directly to the marina and beautiful scenery. Thanks for the review Eric. 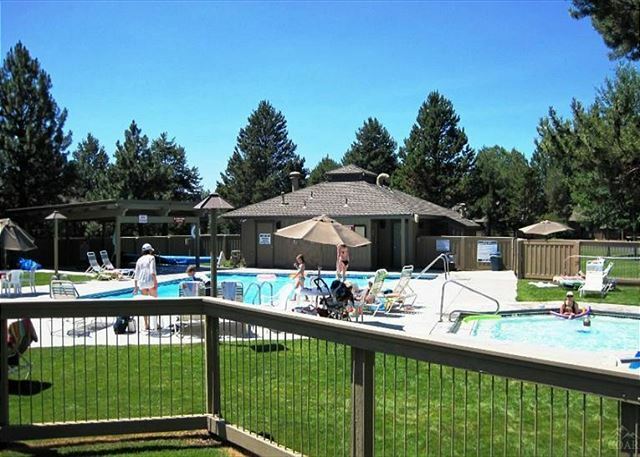 We are so happy that you had such a great week in Sunriver at Quelah Condo 6. We hope you visit us again soon! This may be our favorite unit in our 10 years of visits. 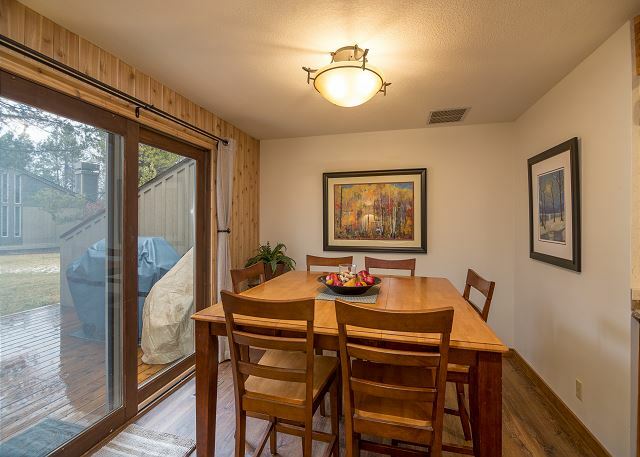 Very comfortable, nicely updated, great location. Also appreciated the hospitality of sunset realty to provide an extra bike for us. THANK YOU, Sheila!! You are now part of a VASTLY growing number of guests that have fallen in love with Quelah Condo #6! 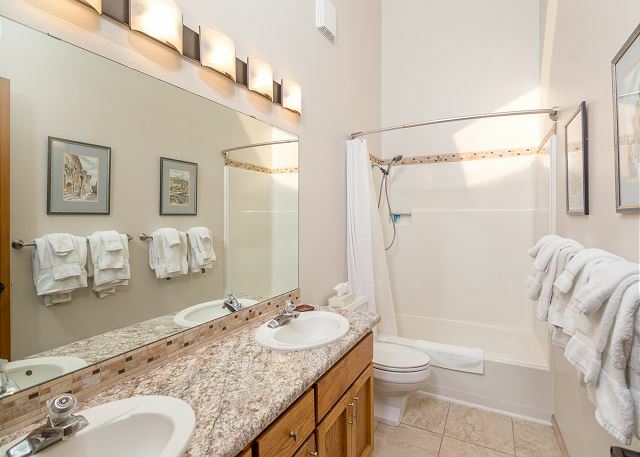 This is such a beautifully appointed, comfortable condominium and we are always glad that folks appreciate the detail and upkeep that the Owners provide. We sure hope to see you in Sunriver again soon. And thank you for the time you've taken to give Quelah 6 a thumbs up, we couldn't agree more!